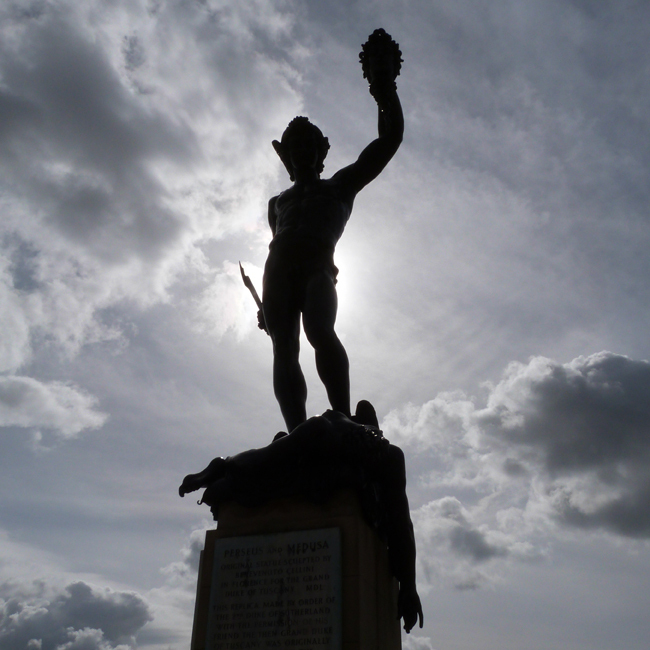 The statue is of Perseus holding the head of the snaked-headed Gorgon Medusa. Taken a couple of days ago in Trentham Gardens, Cheshire. It was a cold and windy day, peppered with rain, but the sun peeked out from behind the clouds to create this rather threatening silhouette. Happy April!